Aukland has given me something to talk about with their debut album, Rookie. Before I give you my thoughts on Rookie. I wanted to give you a little background on my connection to Aukland. I first met Sean and Andrew of Aukland in the summer of 2013. They had just hit the scene and were already making some noise. We met at Horseshoe Tavern where I was selling merch for my friends Of Gentlemen and Cowards. 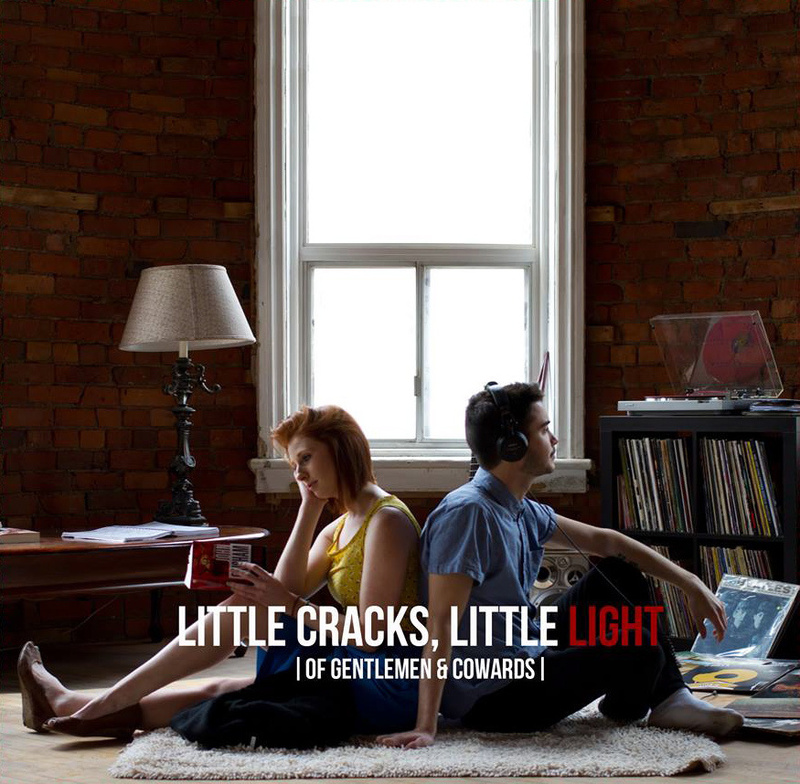 Andrew appears on the cover of their EP Little Cracks, Little Lights, and both Sean and Andrew would go on to be featured in the video for the Of Gentlemen and Cowards track “Song for You“. We didn’t talk much, but Andrew asked me to watch Sean’s (who I had yet to meet) beer. I didn’t actually get to see Aukland play until November 2013 at the Garrison. Unfortunately I was only able to catch a few songs, but it was enough to grab my attention. They released their EP The Orange Above May 16th 2014 at the Sound of Change Music Festival at Adelaide Hall. Alright, enough background, let’s get into Rookie. Much like The Orange Above, the first half of Rookie seems to deal with coming of age in the big city and young men in their twenties dealing with the fascinations of the life that includes love, booze and the everlasting party. But you can already tell there’s life experience in the lyrics. “Talk” describes what takes place in a young man’s head after the ending of a relationship. “Liver and Lungs” succinctly touches on the notion that yeah, as a young man in your twenties, you might be drinking and smoking too much and not caring about going to work looking like a bum, but it’s clearly stuck with them that they’re aware it can’t go on forever. Both are incredibly catchy songs that are sure to have you singing the chorus to yourself for hours. With “Youngest” we see a reflection on what it was like to be the youngest of the family and looking up to older siblings. Once you can look back you can also begin to move forward. This song proves that these fine young men are ready to take the next step. But why not one more bout of debauchery with a song like “Stupid Fun” because they don’t have to be all grown up all the time. The rest of the album begins to delve deeper in both musicianship and lyricism culminating in my favourite song on the album “Curtains and Light” it really shows the growth this band has made in the last two years and helps me assure you that this is the album you’re going to want to listen to this summer, and fall, and winter, and spring. Hell, listen to it until they release they’re second album, because I, for one, am already waiting for more Aukland. Rookie comes out everywhere on June 12th. Aukland will be throwing a record release party at The Garrison in Toronto this Friday before embarking on a three week tour. Dates below. ← Kweku Collins is changing hip hop one song at a time. Artist Interview.